In an area surrounded by orchards and vineyards and in a Mediterranean atmosphere, you will find our villa, the ideal place to spend pleasant days of relax at any time of year! 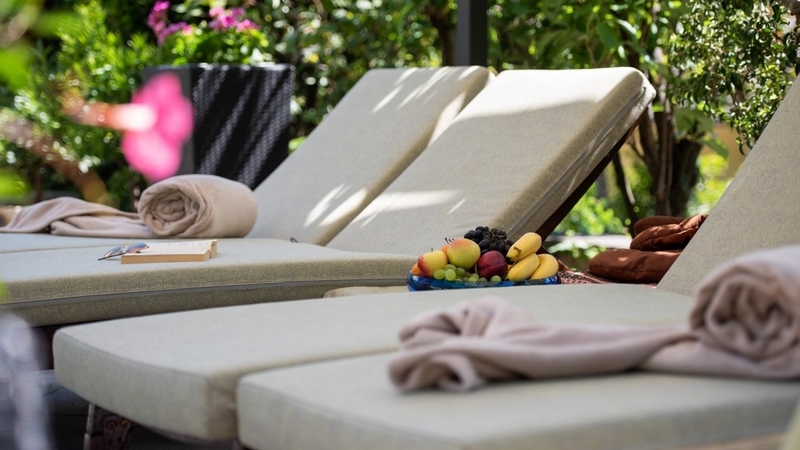 Our house offers its guests a covered terrace, a large garden with sun loungers, umbrellas, tables and chairs, ideal for sunbathing surrounded by palm trees. In the halls of our winery, however, you can spend plesure hours in the company of family and friends. The surroundings of our structure allow you to practice various outdoor activities, including hiking in spring, swimming in the lake of Kaltern or Montiggler, chestnuts in autumn, visit to the museum of the wine or the wine cellars of the area, a race with the Mendola funicular, mountain biking and hiking in the Dolomites, visits to the city of Bozen, to the Ötzi museum or the museum of natural history. Are guests are offered free access to the Seegarten beach at Lake Kaltern. You can stay in two apartments, one with balcony and one with terrace and with shower / WC, hair dryer, linens and towels, satellite TV, WLAN, radio, safe, full equipment kitchen, coffee machine. As well, you can choose a stay in our comfoartable rooms. Each room has a balcony or a terrace with panoramic views of the surroundings! To give you a good wake up every morning, a hearty breakfast served in our winter garden or in summer in the garden.